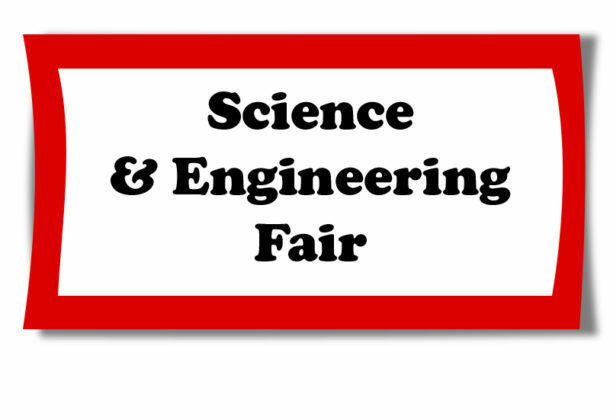 The St. Mary’s County Science and Engineering Fair will be held Saturday, Jan. 26, 2019, at Great Mills High School. Judging will take place from 9 am to noon. The public will be able to view the projects at 1 pm. The Patuxent Partnership is helping publicize the event. The support of local business partners has an important role in making it possible for students to excel through the various levels of the Science Fair. Science Fair Board President Mark Ragland said the St. Mary’s County Science and Engineering Fair Board appreciates the support it has received from local organizations, businesses, and individuals in past years. He said he looks forward to establishing new partnerships as he and the board strive to promote scientific methods and literacy to an ever-growing population of young people in St. Mary’s County. Last year’s Science Fair was exciting and successful, with more than 100 student projects entered and 60 awards given, totaling more than $5,000. By the end of the fair, 60 local Science Fair winners were chosen to compete at the Prince George’s Regional Science Fair. At the Prince George’s fair, 20 students won more than 100 awards. Several students won numerous awards and one competed at the international level, INTEL International Science and Engineering Fair in Pittsburgh, PA. The snow date for this year’s fair will be Feb. 2. The Science Fair is open to public, private, and home-schooled students in St. Mary’s County. The science fair is an excellent venue for students to show their talents in experimental methodologies, engineering testing and design, and various scientific aspects of their projects. The Science Fair’s goal is to create an interest in science, mathematics, and engineering to offer an extraordinary learning experience for young people with the long-term goal of creating scientists, engineers, mathematicians, and computer scientists. The local Science Fair has a history of success. With the help of local businesses and people, the Science Fair board knows it can encourage many more students in science, technology, engineering, and mathematics. St. Mary’s County Public Schools provides some support, but the overall support comes through donations from businesses organizations in the community. Business support provides awards, plaques, and certificates. It also helps to defer operating expenses, covers registration cost for students to compete in the Prince George’s Regional Fair and supports any entrants who advance to the Prince George’s Area Science Fair and the INTEL International Science Fair. The St. Mary’s County Science and Engineering Fair Board’s website contains links to General Information; Science and Engineering Categories; and Judging Information. There are several ways for any organization to partner with the board, including sponsorship of awards and scholarships, various advertising opportunities and volunteering as board members, judges, and project mentors. Help is also needed to set up the facility the evening before the event. The board is a volunteer, non-profit, IRS 501 (c) (3) corporation that is classified as a public charity, funded by community contributions. Contributions are directly applied to promoting an interest in science, technology, engineering, and mathematics among members of the community. Contributions are fully tax deductible.